Meet the workers, makers, facilitators, and members who make up EAP's powerful network of change-makers. 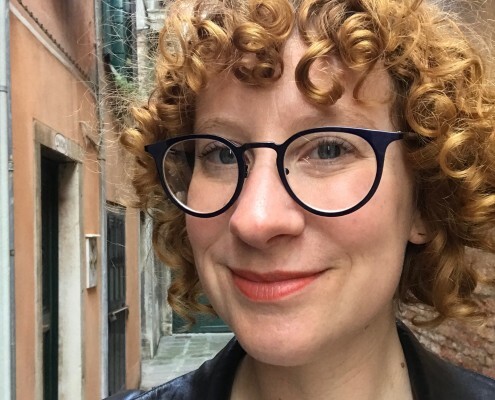 Megan Z. Brian is Assistant Director of Education and Public Practice at SFMOMA which oversees and implements curatorial and pedagogical projects at the museum in the areas of school initiatives, public dialogue, and performance and film. She holds a BA in sociology from Mills College, and is a recent MA graduate from the Institute for Curatorial Practice in Performance at Wesleyan University. She was a fellow in the inaugural year of EAP. A couple shout-outs to local writing: Art Practical and Open Space are both critical platforms for Bay Area art and ideas. Also, earlier this year, I contributed to the Venice Biennale’s catalog, after coordinating a section on Bay Area dance artist Anna Halprin for the exhibition.